Because of Land Rover's high status in the automotive market, we've come to expect a lot out of the brand as the years have gone on. Land Rover has transformed itself from providing classy-yet-monstrous SUVs to becoming a manufacturer that has the cutting edge of technology at the forefront of every production decision. 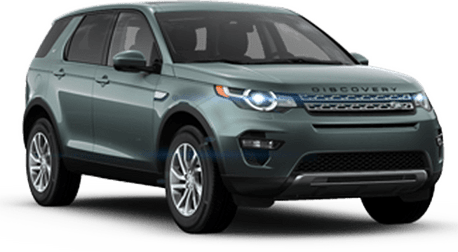 This is evident in the case of the 2019 Range Rover PHEV, a plug-in hybrid SUV that promises to give you all the fun you expect out of a Land Rover model with all the environmentally-friendly performance that you might have only thought could come from smaller models. From inside to out, the 2019 Land Rover Range Rover PHEV is one of the best examples of modern engineering and ingenuity that the American market has to offer. We've done some research on it here at Land Rover Stevens Creek, and there's certainly a lot to cover. Let's jump right in and see what this model can do! Because of the Range Rover PHEV model's plug-in status, you have a choice of either a gas or electric motor to guide you on the road. The latter is highly intuitive and able to get up and running in no time; in fact, you can fully charge it in as little as 14 hours! One of the coolest facets of the PHEV's performance is its ability to keep you moving forward with unparalleled power and efficiency to spare. In fully-electric mode, you can travel up to 31 miles, and on the drive, both engines work seamlessly to give you optimal power displacement depending on the condition. Combined, the Range Rover PHEV can produce a staggering 398 horsepower! With premium acoustics leading the way, as well as high-quality interior construction, the 2019 Range Rover PHEV has been touted as Land Rover's quietest SUV yet. This is exemplified when you switch to its full-electric drive, making your motor virtually silent as you ride! For the unmistakable best in performance and environmental consciousness, the choice is clear – you have to see what the 2019 Land Rover Range Rover PHEV has in store. It can race from 0-60 in only 6.4 seconds, all the while offering a connected and comfortable experience inside. You'll find an Interactive Driver Display and Intelligent Routing technology as part of InControl, ensuring that you'll get where you need to go safely and promptly. All that the 2019 Range Rover PHEV offers is a clear reminder that when it comes to the modern SUV, there aren't many brands that can touch what Land Rover has been able to achieve. 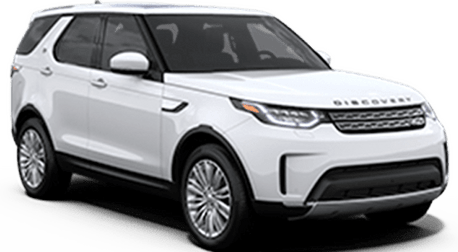 If you have any further questions on the 2019 Land Rover Range Rover PHEV, don't hesitate to contact our Land Rover Stevens Creek sales team. We're more than happy to help you out with any questions about this fantastic new SUV that you might have for us!